Integral to the role of serving as a university faculty member is taking a scholarly approach to being an educator, practicing one’s profession, and contributing to the supporting scientific knowledge of related disciplines. Not only do research investigators contribute to the development of the bodies of knowledge they draw upon, but educators and practitioners can contribute to the expansion and enhancement of their disciplines. The Office of Associate Dean of Faculty Development has been established to help SHP faculty expand the scholarly portfolio of both individual faculty members and the school. 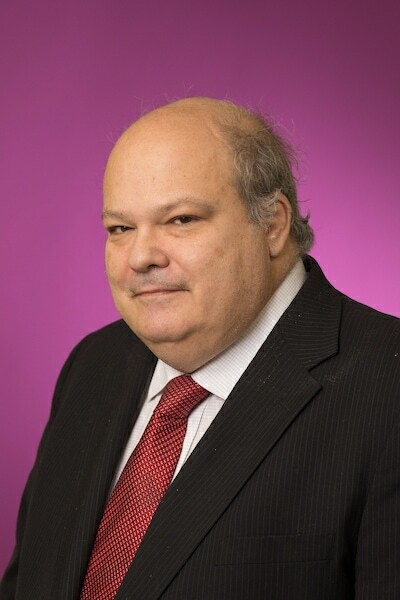 Dr. Kenneth J. Gill currently services as Associate Dean, please click here for his brief bio. Academic scholarship comes in many forms. One of the most useful definitions is from Boyer (1990), Types of Scholarship, which identifies four areas of scholarship: discovery, application, integration, and pedagogy. “How to plan a research agenda” The University of Massachusetts – Dartmouth. Application is the way street of applying findings of discovery in the real world and informing future research through new findings and adaptations. Integration of knowledge is needed because, while there are numerous scientific findings and facts about professional practices, they are not readily available to all students and professionals who need to learn to use them. Textbook meta-analyses, literature reviews, and other integrative articles are in this category. This has been a traditional strength of many SHP faculty scholars. Literature reviews – Regardless of the category of research, a review of the literature is essential. What is already known and established? What are the current questions that need pursuit? What methods are used to pursue them? Where are findings published? RBHS libraries can now help you conduct these reviews. Contact our library personnel, Health Science library personnel at 973-972-4580. Also on the Scotch Plains Campus, the University librarian is available in person Monday 2-6, room 546. She is Mina Ghojar, mghajar@ca.rutgers.edu. The library website is here. Feedback on a manuscript – Have a draft manuscript but you would like a colleague to read it over before you submit it? Already gotten feedback but need help incorporating it?Ask us in an e-mail. and upload your manuscript. Research design – Whether it is a small one shot survey or a major multi-site investigation (or anything in between), the research and project design is critical. SHP faculty are here to help! The school is developing a Methodology and Statistical Support Team, Use this Link to request service. Statistical consultation – Related to research design, a statistical analysis plan is critical before you collect even the first piece of data. We can offer advice at any stage but the earlier the better. As mentioned above, SHP is developing a Methodology and Statistical Support Team, Use this Link to request service. Turning a community service project into a scholarly opportunity – SHP departments, programs and faculty members are known for their service to the community. Less frequently thought about is that the description and evaluation of these service projects may be of scholarly value. contact us at facultydevelopment@shp.rutgers.edu to discuss. Writing textbooks and other learning resources – Historically, writing texts in allied health has been a strength of SHP faculty. We can connect you with colleagues who have found the right publisher, developed proposals, and have even published multiple editions. See our page on SHP faculty books. Looking for funding – Need to fund your own scholarly endeavor? We can put you on to university resources to help research and can also provide some advice in this regard. https://www.grantforward.com/index or contact us at facultydevelopment@shp.rutgers.edu to start the conversation. Looking for a mentor? – Need an experienced, guiding hand who really knows his/her way around in the world of research or perhaps a very experienced teacher to help with enhancing your teaching methods or measuring your impact? Maybe you need help as a new faculty administrator wading through the morass of administration? Whatever the issue, we’ll try to help find you a potential mentor to approach. Click on here to fill out online looking for a mentor form to get started. Looking to serve as a mentor? – Interested in mentoring a one of your less experienced colleagues, sharing your expertise and experiences in research, teaching, academic leadership, or other areas. Tell us what you have to offer using this form, and we’ll look for a protégé you might interested in mentoring. Click on here to fill out online looking to serve as as a mentor form to get started. Also consider Research Gate https://www.researchgate.net/ or similar site to follow, network and share with other scholars in your area. Also use NIH resources to document your own biosketch and accomplishments. See this Powerpoint developed by Yingting Zhang.